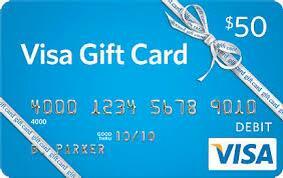 Welcome to the $50 Visa Gift Card Giveaway! Sponsored by: Outski and hosted by: Super Frugal Stephanie! Outski.com is a helpful and fun way to plan a trip! It even includes a built-in savings plan to make it easier for you to save. Outski keeps you motivated to take a much needed vacation that we all need at some point. Now Outski has come with a program called 401(Play) to help us slow down and really plan a vacation to keep ourselves healthy and allow us to enjoy life. Pretty much the concept of the program is a means of having funds transferred directly from your paycheck into an FDIC-insured Vacation Savings Account (VSA) in your name. You choose the amount or percentage to be transferred each month. So it allows you to stick to a budget and still plan that much needed vacation. I would save up for my trip to Iceland!! I would save for a trip to Ireland. I have always wanted to visit there. I would use the program to save for Venice Italy trip. This is a wonderful idea I never knew they had this for payroll deductions. I will have to see if my husbands job has it available for him. I would save it for a family vacation for CDisney land or world.